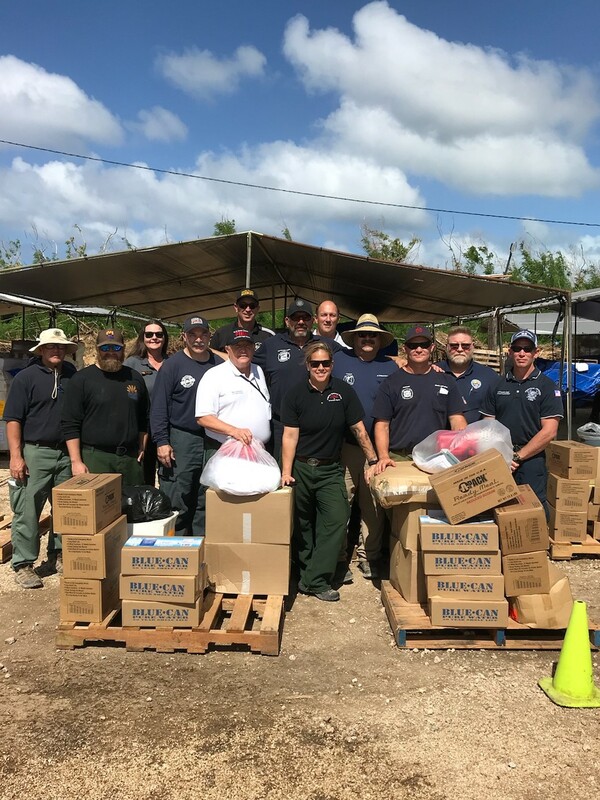 Phoenix, AZ (12/5/18) - Weeks after a super typhoon hit the Mariana Islands in the Western Pacific, the Arizona Department of Forestry and Fire Management’s All Hazard Incident Management Team traveled to Saipan to help survivors displaced by the storm. The U.S. Forest Service arranged the 14-day assignment in which the team works alongside leaders from the Commonwealth of Northern Mariana Islands to coordinate the efforts of multiple agencies in distributing temporary, emergency shelters to disaster survivors. More than 1,100 households received shelters through this program so far. In late October, Super Typhoon Yutu hit the Northern Mariana Islands as a Category 5 storm. With winds up to 180-mph, the storm destroyed several structures including homes, schools, and businesses. Shortly after the storm made landfall, local and national response teams have been working on Saipan and Tinian to help provide emergency shelter to those left without a place to live. Saipan is the largest of the islands that comprise the CNMI, a self-governing Commonwealth in political union with and under the sovereignty of the United States. “Whether we are in Arizona on a wildfire or working a typhoon recovery mission, we always feel privileged to assist. Here on Saipan, we hope our efforts help speed up the recovery process and allow its residents to get back onto their feet faster,” said AHIMT Incident Commander Pruett Small. The team works closely with the Arizona Department of Emergency Management and numerous state fire departments and law enforcement agencies to provide incident management assistance within Arizona and around the nation. This year, DFFM’s AHIMT traveled to Oregon and Washington for wildfire support and flew to North Carolina in advance of Hurricane Florence.